Some things really do “change everything.” Video is one of those things. 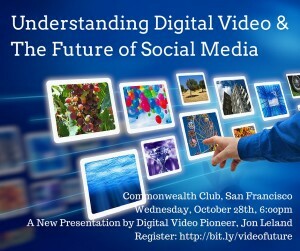 Please join me Wednesday, October 28th at 6pm at San Francisco’s prestigious Commonwealth Club as I illuminate the game-changing mega-trends brought about by the digital video revolution. 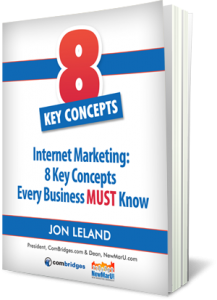 As many of you know, I’ve been writing and teaching about The Video Web and the digital video revolution for literally decades. 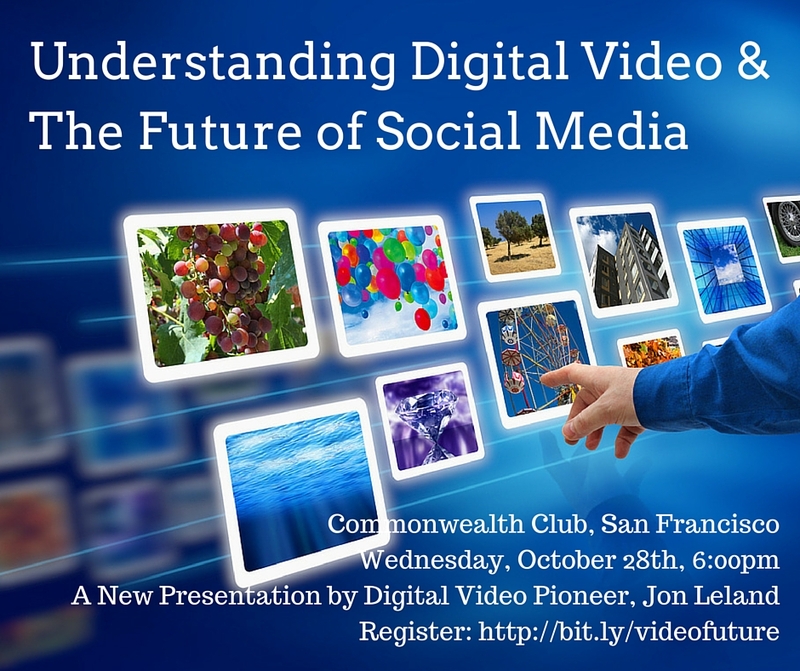 On Wednesday, October 28th, I’ll be unveiling a brand new presentation on the powerful new forms of digital video as they are literally playing out through social media and real time streaming media. Our media landscape is literally being reconfigured. This will be a powerful and empowering event and I hope you will be there. I’d love your feedback as well as your participation.